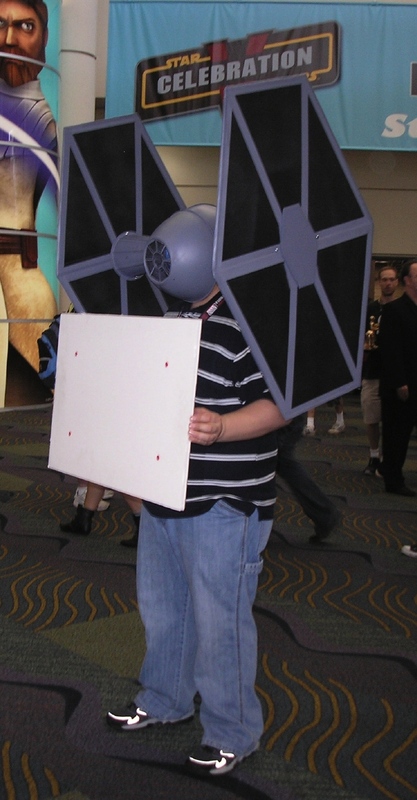 My full post on Star Wars Celebration is coming along shortly, but in the meantime, since everyone is interested in photos, here are some of the folks seen along the way in the hall, starting with some people from a certain video game! No idea how this guy got through doors! Star Wars Celebration Day 1: The hunt for Kerra Holt begins! 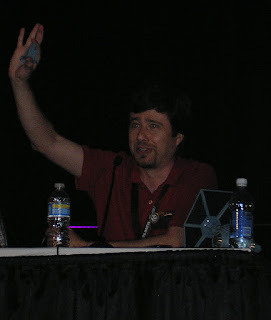 Just in from the first afternoon at Star Wars Celebration. It'll be a while before I can get photos posted, but I will pass along this pic that was just retweeted to me of me and Madison, the actress playing Kerra Holt, as part of the Find Kerra Holt contest at the convention. (And no, you can't use this picture from the event for the contest -- you'll have to take your own!) But now you know who to look for! 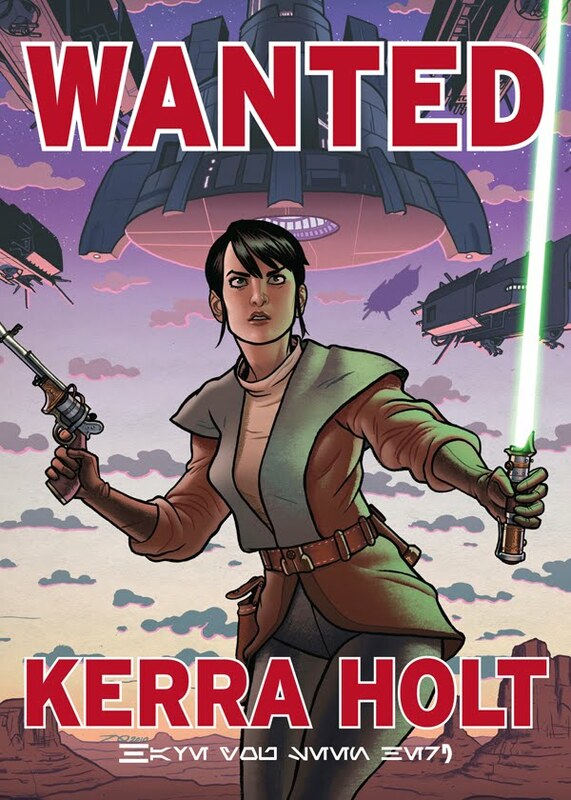 Plenty more chances to find Kerra at the convention -- and I have signings tomorrow and Saturday, plus the panel Saturday afternoon. And if you can't make it, check out the new interview about the series just posted on IGN! 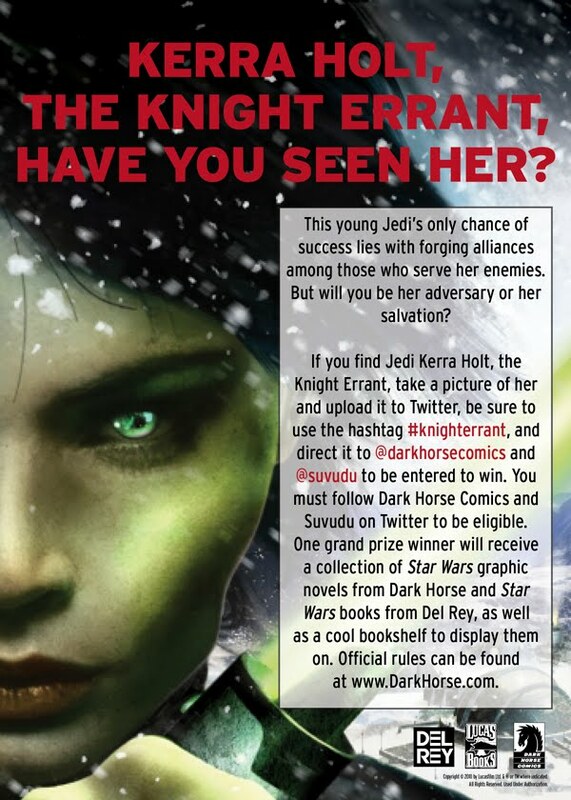 Join the hunt for the Knight Errant at Star Wars Celebration! 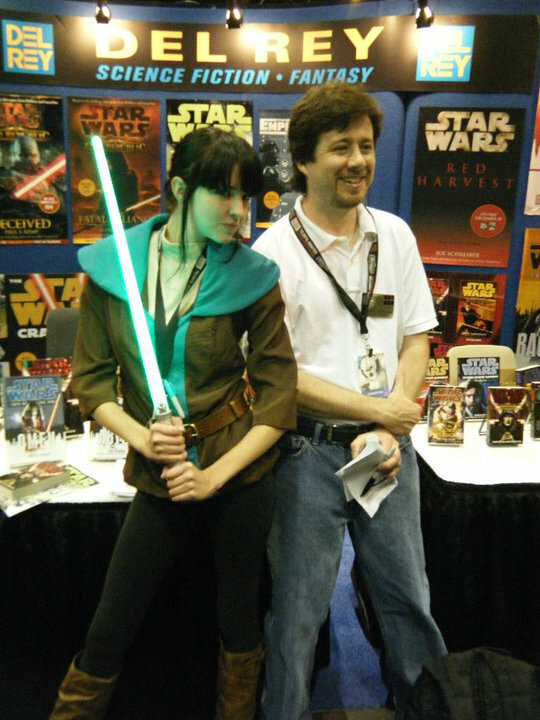 Dark Horse and Random House's Suvudu have announced a special Twitter contest for Star Wars: Celebration! Be sure to use the hashtag #knighterrant, and direct it to @darkhorsecomics and @suvudu to be entered to win. One grand prize winner will receive a collection of graphic novels and books from Dark Horse Comics and Del Rey, plus a bookshelf to hold all the wonderful prizes! Full details here. It's a cool promotion — I'm thrilled that it's coming together. And you can follow me as well on Twitter, right here! I'll also be dropping by the TFN Fanforce Jedi Council Party on Thursday evening; more details on how to attend at the link. 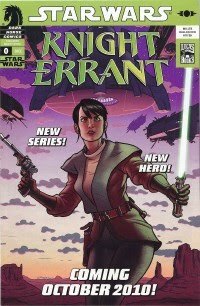 As mentioned here before, the con giveaway is Star Wars: Knight Errant #0, which is a double-sided book with preview pages from Knight Errant #1 on one side and the first chapter of the novel on the other side. There are also several of Federico Dallocchio's designs and an interview with me in the issue. 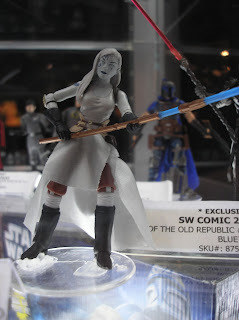 This is an exclusive for attendees of Star Wars Celebration, so far as I know. More information as I know it. Hope to see everyone there!